I am a fan of bluffing games (despite not being any good at poker). Any game that allows me to mess with the minds of my opponents, get in their heads, and make them triple-guess my actions or intentions is a winner for me. For years, pub games like Skull and Roses and Cockroach Poker have been in my regular rotation. 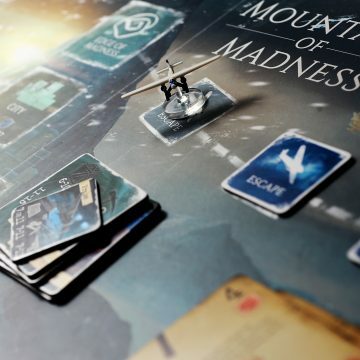 More recently some new titles, Nessos and now Skulk are starting to make appearances at game nights to positive results. Right off the bat, Skulk is going to make an impression on your friends when you pull it out. 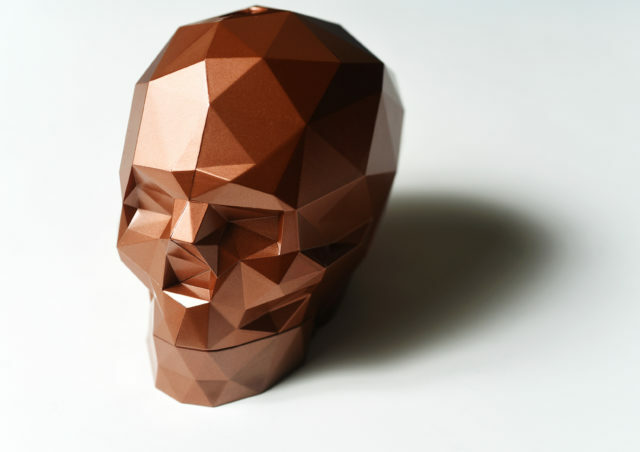 All the bits are contained in a cool (plastic) bronze geometric skull. The back opens to reveal all the personal game pieces, but the skull itself serves as the centre of the gaming action. 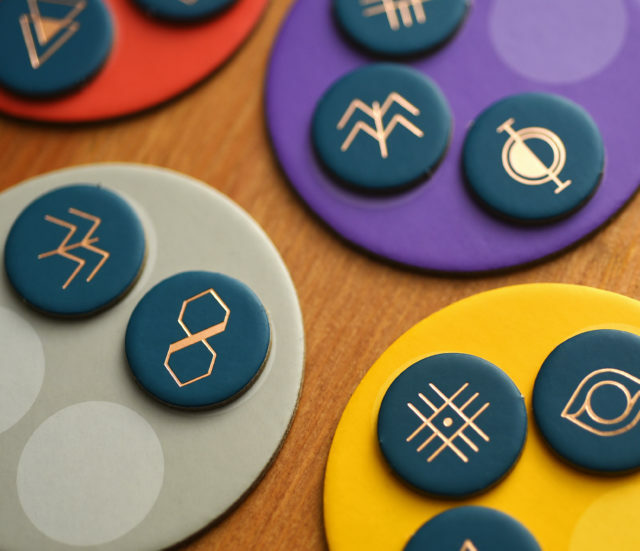 Everyone starts with a personal board showing off their symbol, six Influence tokens, also with their symbol, and three Soul tokens. The Skull is seeded with 14 marbles, three each orange, grey, yellow, and purple, and one white and one black. The goal is to get your opponents to lose their tokens before you do, by lying…or telling the truth…whatever works. 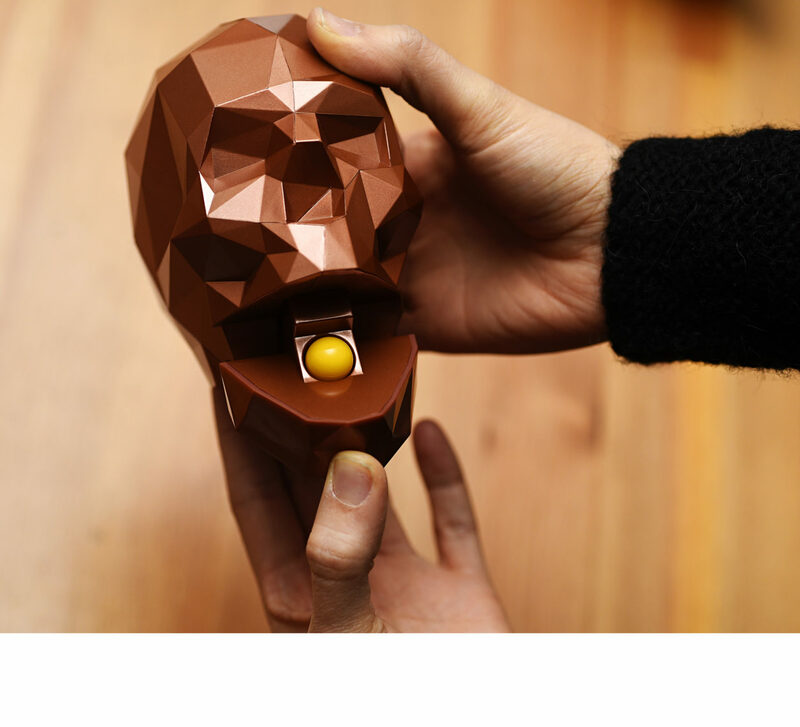 On your turn, you’re going to take the Skull, shake it up and secretly open the mouth to reveal a marble only you can see. You’ll then announce to the other players (honestly or not) what marble you just saw. They have to decide whether or not to challenge your claim. If you are challenged one of two things will happen depending how honest you were. 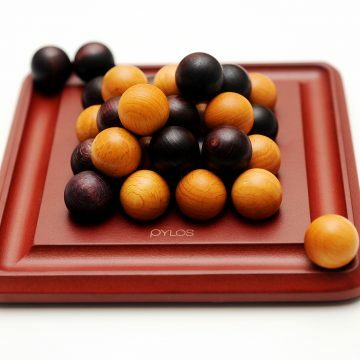 If you were honest, you reveal the marble and add it to your player board (unless it was a black or white one). You get to place an Influence token on an empty space of the Claim tile that matches the colour you claimed. Finally, the challenger loses one Soul token. If you were lying (typical), the challenger takes the marble onto their personal board and you lose a Soul token. There is a risk and reward for making a challenge, but if the other players believe you, they can decide not to call your bluff. 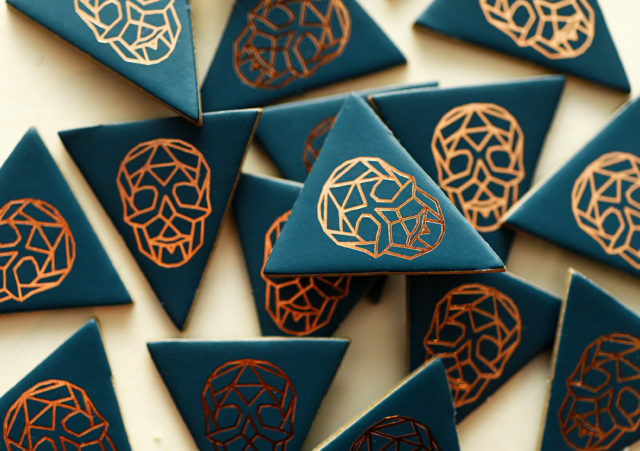 If you told the truth in that case, the marble goes back into the Skull and you add an Influence token on the claim tile that matches that colour marble you took out. If you were bluffing and no one called you on it, you add the marble to your personal board and add an Influence token to the Claim tile of the colour you SAID it was. Now that may sound a bit confusing, but long story short, there is a risk to bluffing and a risk to challenging, but as you’ll soon see, letting people get away with certain claims can be dangerous too. 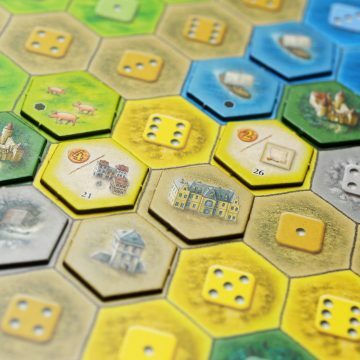 If all the spaces on a Claim tile are filled on your turn, you check to see which player or players have the fewest Influence tokens on it. They all lose a Soul token and then the Claim tile is cleared with the Influence tokens going back to their owners. If a player is claiming that they just saw a yellow marble and that would fill the Claim tile if they’re telling the truth, you have to assess whether that’s going to cause you to lose a Soul token anyway. It can be a tough decision to make. 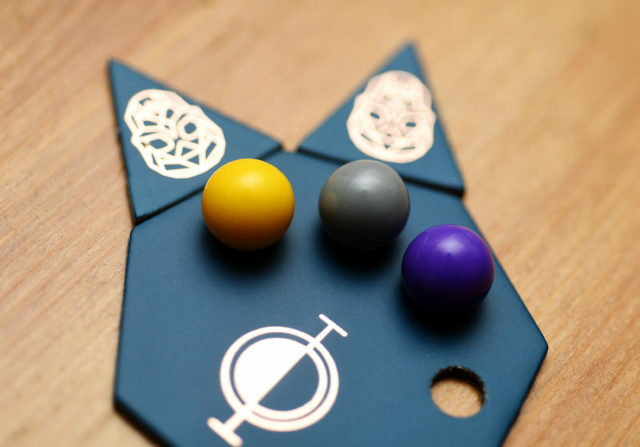 On your turn, if you ever have more marbles on your personal board than Soul tokens, you return all the marbles to the Skull and add an Influence token to any open Claim tile space. The black and white marbles work a little differently. The black marble allows you to add an Influence token to any open space on a Claim tile, even if that finishes it off. The white marble allows you to remove an Influence token from one of the Claim tiles. That’s true if you actually find one of those marbles in the mouth of the Skull or if you claim to and no one challenges you. Skulk is pretty straight forward and fun, and with only three live to each player, the games don’t last too long. Before you know it, people are put in a position where they have to start taking risks. Maybe a Claim tile is filling up and they haven’t exercised any influence on it. Maybe someone is making a claim you just can’t stand by. When I first saw this one, I feared that it might be a poor game based on a cool component, but it actually works pretty well. Bluffing games need to be fun. They need to ratchet up the tension, and ask you to read the people across from you. Skulk does this very well, it just happens to look really cool while doing so. Skulk is a bluffing game for 2-6 players. Rounds last around 20 minutes. A review copy of the game was generously provided for this article.